When I saw the challenge this month in the Forum I was excited as these cakes we can get from the pastry shops here and I have been wanting to make them for a while. I made this and took to my inlaws place for a afternoon coffee and they all loved it, they even said that the pastry is as good as the one we get in the famous pastry shop. The only this is next time when I make it i will add a bit more gelatine to the mix. I didn't make the sugar syrup , I uesd strawberry liquor instead. 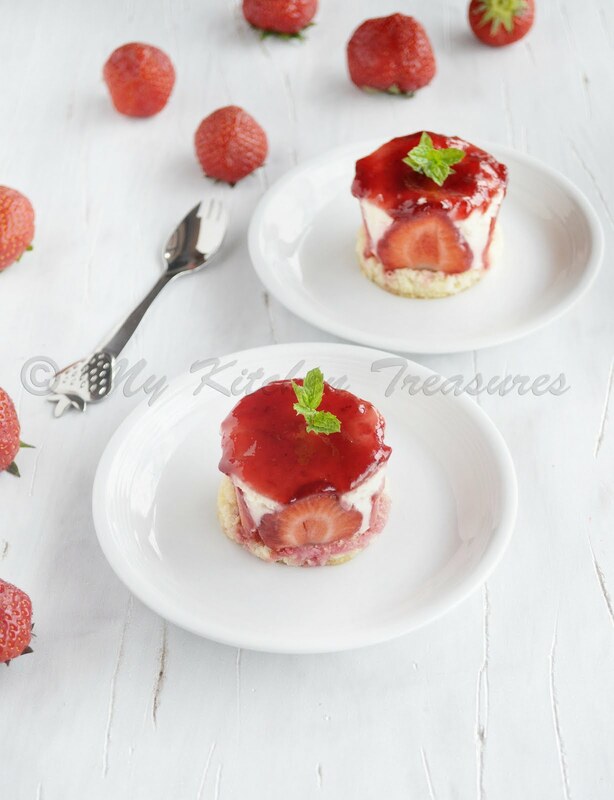 Lovely mini Fraisiers, Finla! I love mini desserts! These fresh Fraisiers look delightful! Lovely cakes Finla. They do look professional as any cake in a bakery. 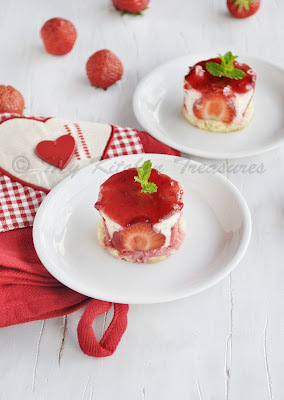 Guess what, I never had Fraisiers and now i seeing this in so many blogs and it's tempting me so much! well done on the challenge. Beautiful job on the challenge! I love petit desserts and yours are PRETTY! What shall I ask the hub to get me from France Finla...I've hit the blank shopping spot especially since he says he has limited space. Has to fly back to HKG with the new aircraft, and then fly back from HKG!!! Very very nicely done, mouth watering. Looks so good. bite size treat!! Your Fraisiers are gorgheous Finla! You guys are so talented to take on these gorgeous fraisiers for Daring Bakers. Delish I bet! Those mini fraisiers look so inviting! New to me,but totally yumm! I love your props and presentation!